← Last Chance for 30% Off! 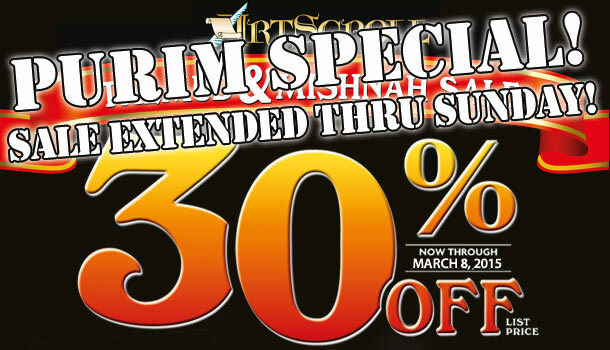 Special for Purim, we’ve extended one of the year’s most popular sales: ArtScroll’s Big 30% Off Talmud and Mishnah Sale! That’s right – if you missed your chance to save, you can still shop ArtScroll’s renowned collection of Talmud and Mishnah volumes at 30% off list price! Don’t forget: you get free shipping on all US orders over $49! Hurry – the savings end on Sunday!